We don’t expect that our graduates will take the ordinary paths from Tremont School; we expect that all of them will take an extraordinary path. They will be inventors, writers, activists, and entrepreneurs, creative people who push the boundaries of whatever field they devote themselves to. Alongside our students, we look to the future by focusing on the potential of the present. We don’t simply want them to get into college; we want them to create the network of supporters, the ambitious learning agenda, and the personal vision to see each stage of life and learning as an opportunity to improve the world and to make their contribution. The Tremont School Competencies and Essential Understanding Goals are the guiding north star by which we help students navigate toward graduation. Advisors work with each student toward fulfilling the graduation requirements develop their personal vision as a learner, as a community member, and as an individual. We are willing to bet that you have never seen anything like our High School program. Students and teachers drive learning, rather than a class schedule. 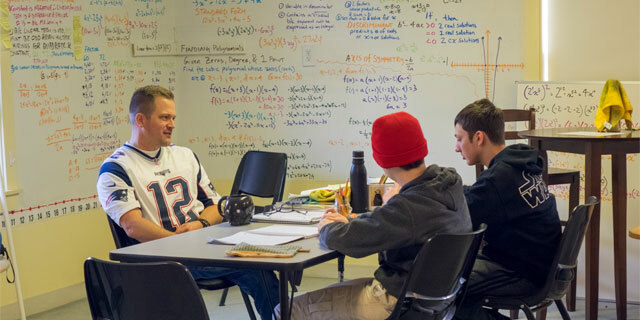 Students enroll in two major interdisciplinary courses, one Humanities and one STEM (Science Technology, Engineering, and Math) at a time on topics like World Religions or Electricity and Electronics. These courses incorporate content that you would find in World History, English, Algebra I and Physics classes but within a context designed to give a greater depth of personal meaning for students. Similar to a college schedule, these courses meet as a class two to three times each week. In addition to these meetings, students navigate their way through independent course work, like reading, projects, and writing assignments. Teachers are available as coaches during this time to work with students individually or in small groups. In addition to their class meetings and independent work time, students are also scheduled for math and writing tutorials to develop these skills in a small setting of three to four students. Tutorials are an opportunity to focus in on very specific skill development in these areas. The flexibility of our High School schedule allows for students to receive individual attention and focus their work according to a plan they develop with their advisor. 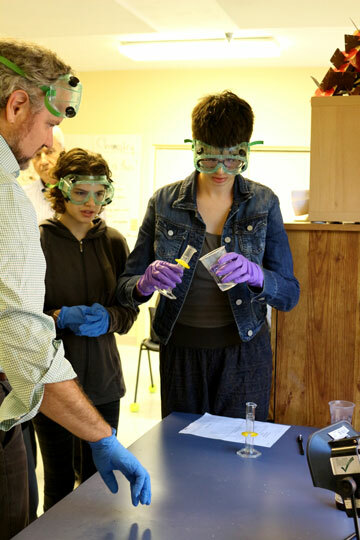 High School students are assessed in two primary ways, through the Tremont School Competencies and the Essential Understanding Goals. The 14 Competencies outline a vision of the intellectual, social, and emotional skills of a Tremont School graduate. They include everything from, using and embracing mistakes as a part of learning to connecting socially to fulfill individual and group purpose. Students will naturally be better at some of these competencies than others. We see these as the defining factors that differentiate one mind from another. This is natural. In fact, adults engage in each of these ways of thinking with different levels of sophistication. It is important for students at Tremont School to both work in all of these areas but also identify areas of particular strength and particular weakness. This reflection and self-understanding will inform the types of learning and work environments, which will be most successful for them throughout their lives. The expectation is that Tremont School graduates will demonstrate concerted attention to each of the Competencies over the course of their High School career. We want each graduate to understand what it means for them to pay attention to each of these Competencies, their strengths and their weaknesses. Students and teachers will assess their growth in the Competencies through their portfolio. Through each course, students are addressing Essential Understanding Goals from a variety of disciplines. The 84 Understanding Goals, 12 in each discipline, are derived from the Common Core standards, Massachusetts Curriculum Frameworks, and other standards, like the National Council of Teachers Mathematics standards. Teachers have worked hard to boil these standards down to the true essential skills and knowledge, rather than the broad survey approach that is taken in many sets of standards.